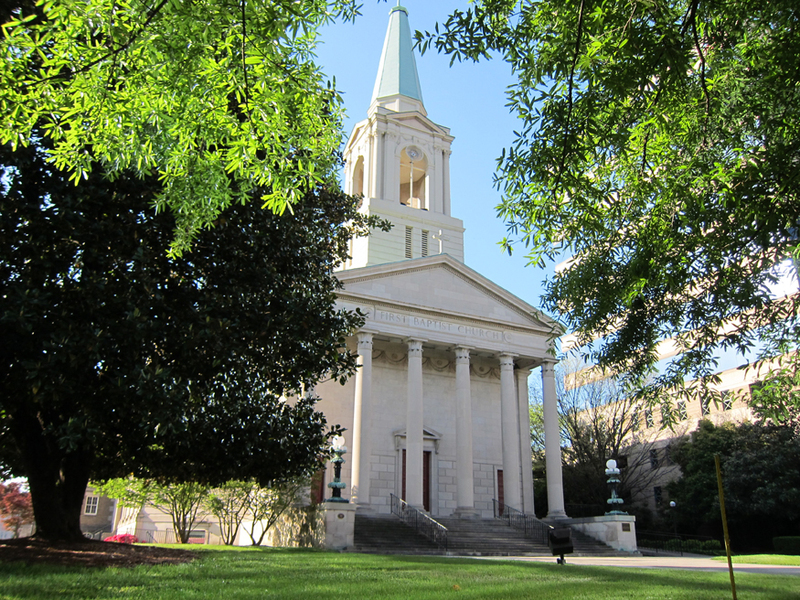 First Baptist Church of Knoxville, located at 510 W. Main St., was built in 1924. This building was the church's 3rd location. modeled on St Martin-in-the-Fields of London. The exterior of the church sanctuary is sheathed in marble.